On behalf of Indian Peak Vineyards, I am running for the position of Honorary Mayor of Manton. The reason for doing this is to raise money to save our Manton Grange which also functions as our community center for our town. This facility is very important for our little town as this is the only place to hold memorial services, local holiday events, receptions and the list goes on. 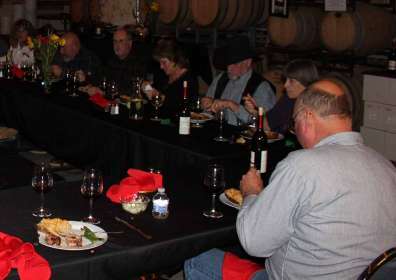 Indian Peak Vineyards rents this facility several times a year when we do some of our bigger events. Not having this facility available would hurt us as we do not have parking available for larger events. Would you please consider a donation to my campaign? Time is running out and I only have a couple of days left. Thank you very much in advance. We hope to keep the Grange alive and well for many years to come.